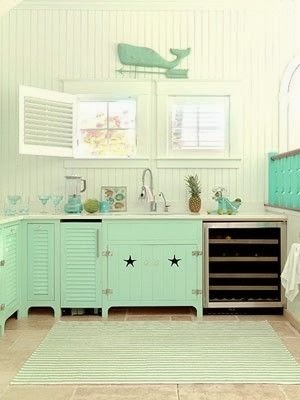 Everything Coastal....: Coastal Decorating Trend - Whale Spotting! 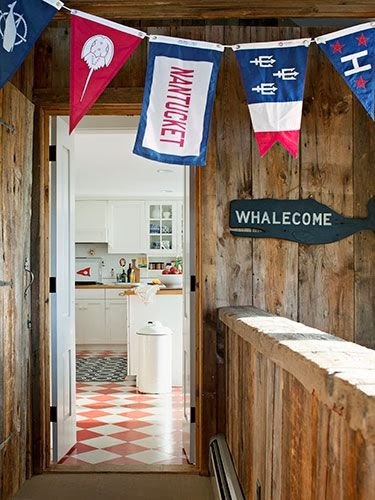 Coastal Decorating Trend - Whale Spotting! Okay.... maybe I am a little bit biased after our whale watching trip earlier this year - but I can't help spotting whales every where this year in spring decorating ideas. A few weeks ago, when we were at the Vegas show, whale images were incorporated into just about every product imaginable - from rugs to tabletop. Here's just a small peek from our trip to the Las Vegas Market! 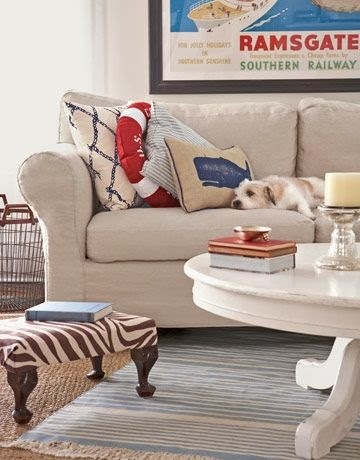 Just a touch of whale in this darling nautical cottage room featured in the pages of Country Living Magazine. And an added bonus above the kitchen sink - a modified whale weathervane! A "Welcome" Whale Sign - you can order in white or aqua, and can even change the "Welcome" into your own words! Fun new Northshore Whale "Under the Deep Blue Sea" embroidered pillow - love these colors and details! Classic nautical colors with an adorable red whale - lots of other pillows now available to match! Our Jonah the Whale carved mango wood bookends would add a sea faring touch to a nautical room! Would love to know what you think. 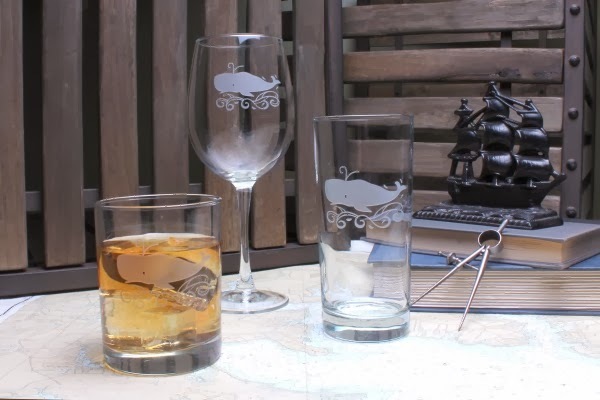 Would you add a few "whale" items to update for spring? Stay tuned, I am sure that we will be finding even more pieces to share! Love these finds! I was lucky enough to see whales over Christmas break and I was beside myself!! Seeing whales had been on my life's wish list and it was a miracle! Jojo - Seeing the humpback whales in Monterey Bay this fall, honestly was the highlight of the entire month of September. Gave me goosebumps! A Mardi Gras Gourmet Treat - Emeril's Jambalaya!